In the internet world, your website represents who you are, what you do and how you do. Hence, a responsive website design is imperative to communicate with your target audience and to bring your products, services and USPs in light no matter whether you�re a small business or a colossal e-commerce. Our expert team of web designers in India builds strategic, engaging and responsive website design in India that are tailored to your business requirements. We are a web design company in India, focusing on maximizing the user experience from head to toe and leaving a lasting impression through our extensive website design services. We provide you fully customized web Design solutions with affordable rates to help you grow your online business rapidly. Our main focus will be delivering a consistent user experience to all devices. So, all our potential clients can find right solutions in right place. 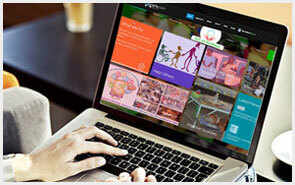 We have dedicatedteamof web Design ers who are specialized in building good website and touch up with good UI.